On the ‘Old Cork Mail’ Road to Carisbrooke Station – quite corrugated in parts! 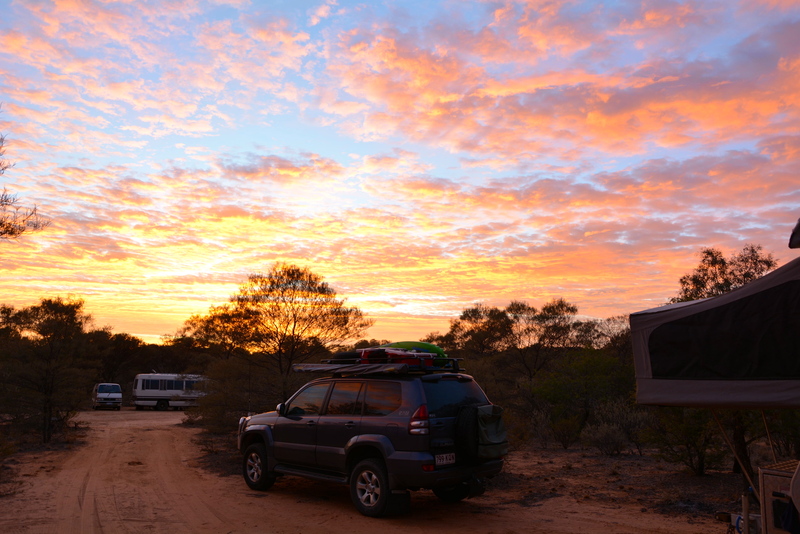 We left our free camp outside Longreach at 8.30am last Saturday morning (the earliest packup and getaway we have had so far on the trip – getting more organised now!) 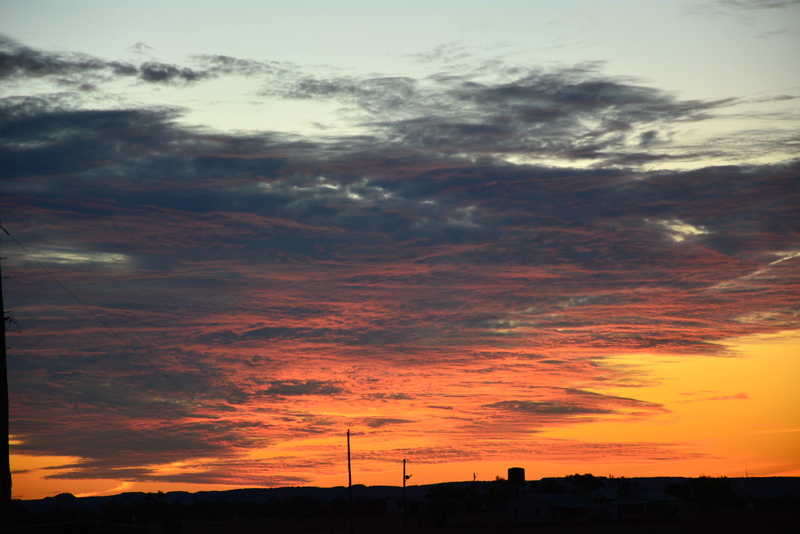 and headed for Winton. We were all very excited as we were meeting all the family (my sister Beth and her husband Rod and their 4 boys, plus my mum and dad – just missing Kate!) at Carisbrooke Station today! 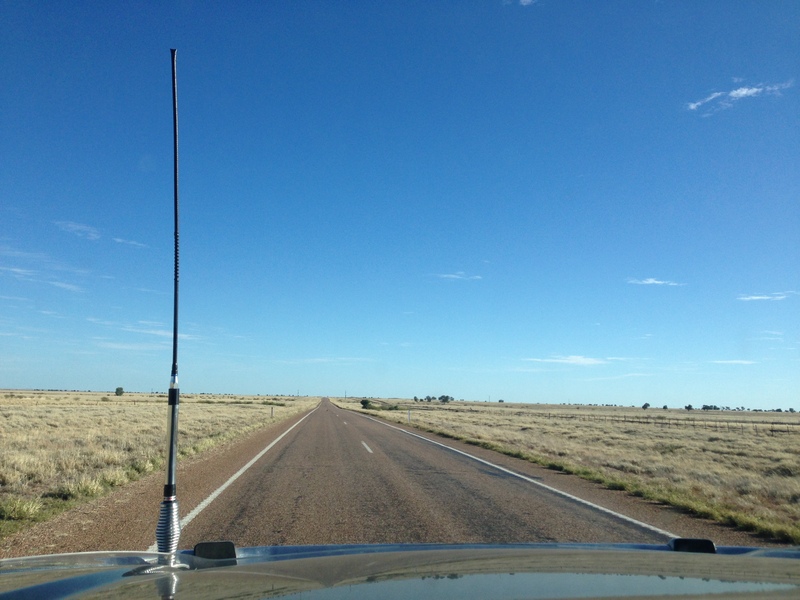 It was a short and easy trip to Winton – only a bit over an hour in the car and the scenery was very flat and dry! After having a quick look around Winton we set out for Carisbrooke Station which was where we were to spend the long weekend. 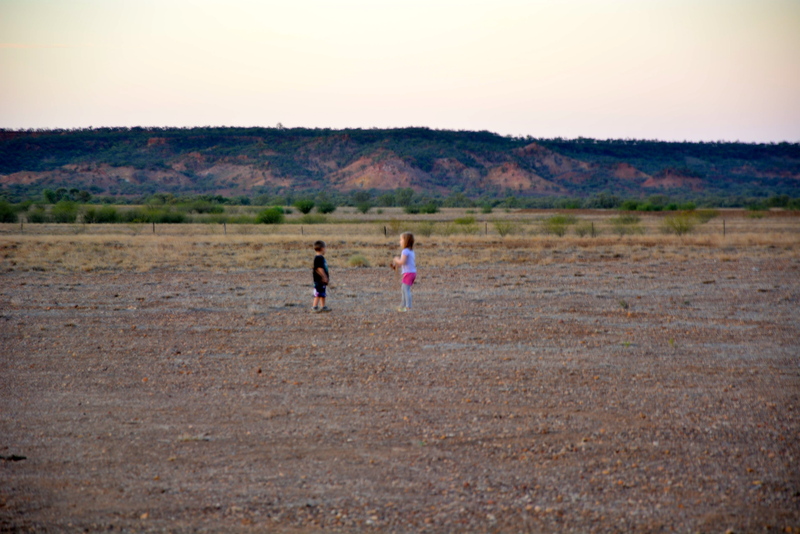 It was a very rough 80km trip from Winton to Carisbrooke – we opted for the shortest route to the station via mostly dirt road as advised by the owners but it was quite corrugated in parts and took us an hour and a half to get there! 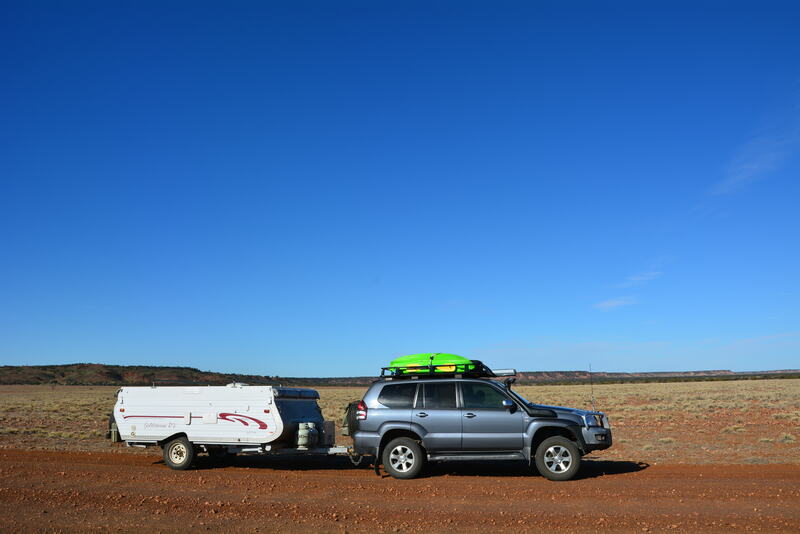 We didn’t let our tyre pressure down on the car or camper as we thought it would only be a pretty short trip but that turned out to be a bit of a mistake! 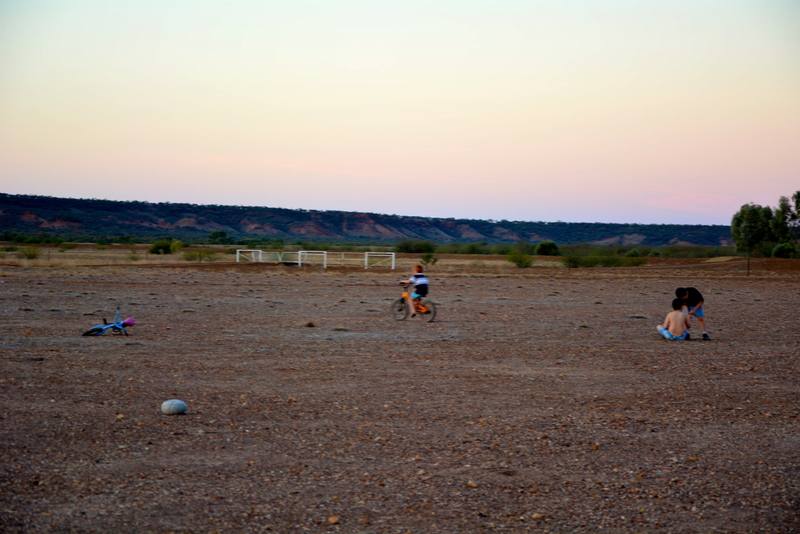 The road was quite bumpy and we found oursleves looking for the station homestead after only a few kilometres in! Winton and surrounds are in drought at the moment and everything is very dry and dusty!!! 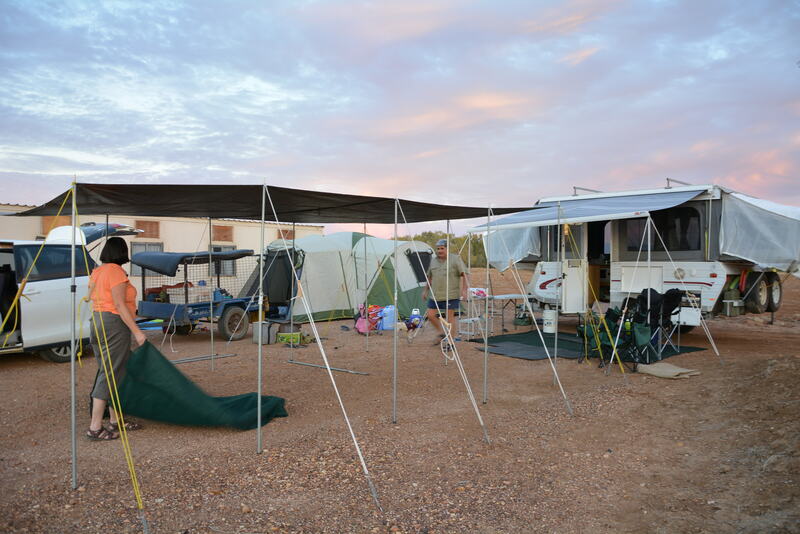 We were a little shocked at the harshness of the station camp site when we finally arrived and felt a little disappointed as it didn’t look much like the website photos, but once we got over the bumpy ride and settled in a little, we could appreciate the beauty of our surroundings! We arrived about an hour before the rest of the family and the kids were sooooo excited when they drove in! So was I because I was a little worried that they may have hit the dirt road and decided it was too rough and turned around and gone back to Winton!! 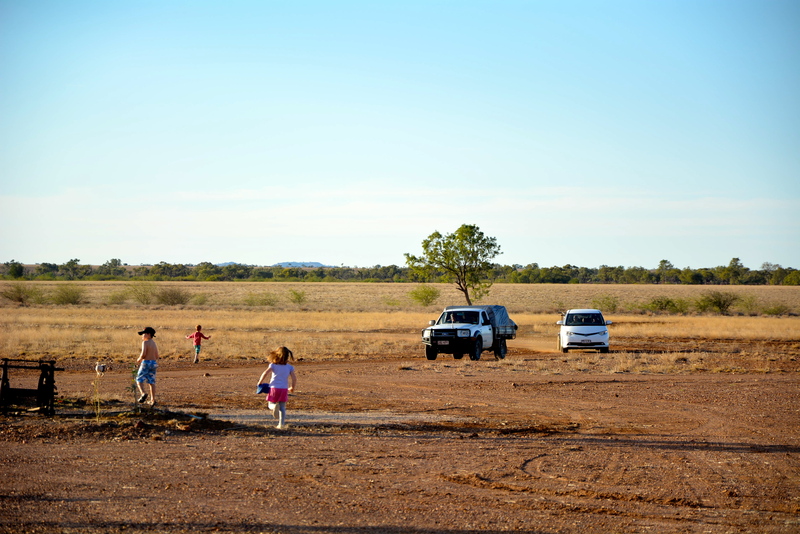 But ‘Tessie Tarago’ and the trusty ute (who is not 100%) came through once again and tackled the dirt road no problems delivering the kids their cousins, aunt & uncle and grandparents! Our kids after a week on their own were really hanging out for the company of other kids!! 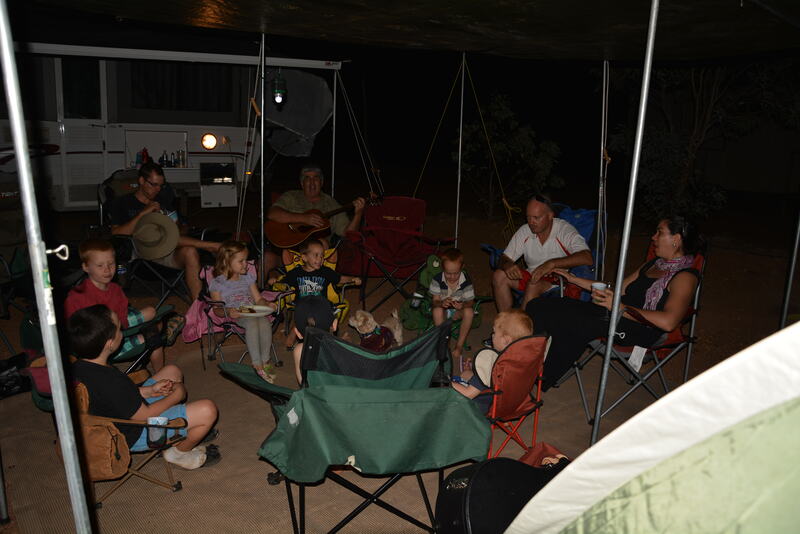 We set up camp and the ground was surprisingly not too hard to bang the tent pegs into and we really did have a good weekend – I’ll fill you in with my next post! 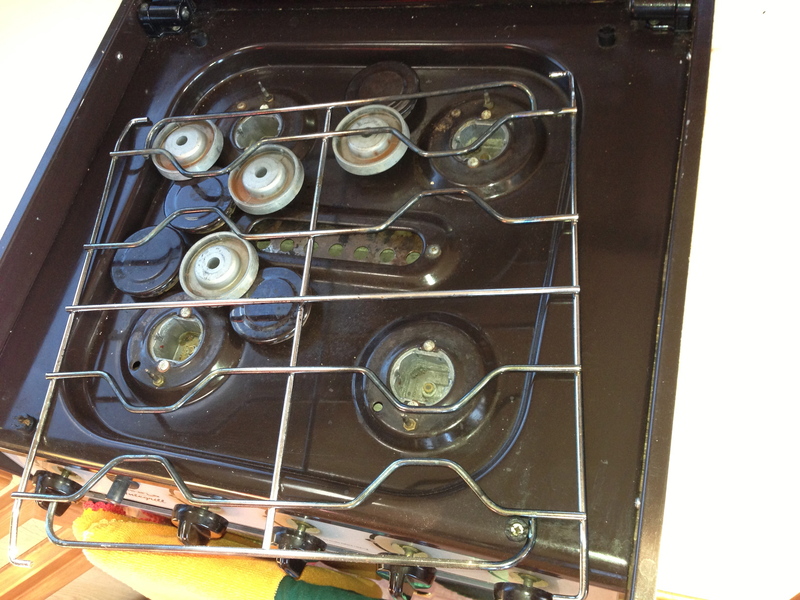 The corrugations rattled the stove top loose! And also rattled the tops off a couple of bottles of cider we had in the fridge (fortunately they didn’t smash!) 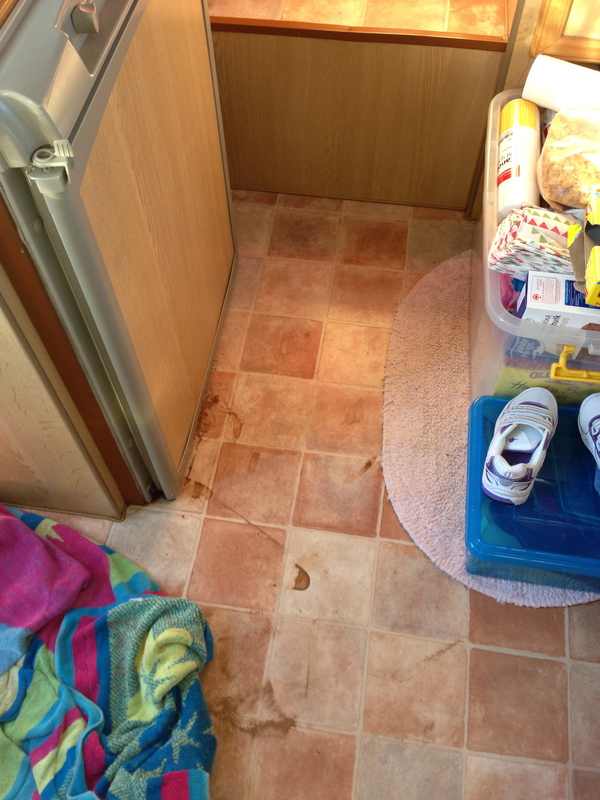 we also had a lot of dust in the camper – so a mess to clean up when we arrived! The Campbells and Grammy & Grunda made it!!! Lex and Cory – playmates getting to know each other again! we had a great time, one thats pleasantly folded away in the memory drawer for ever after,or untill alzhiemers chews away at it,then we will just have to refer to your Blog. It was great to hear from you again. we are looking forward to your next blog.